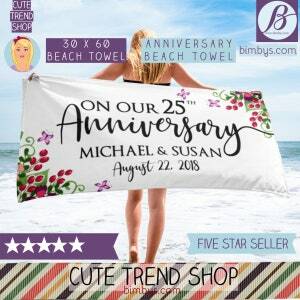 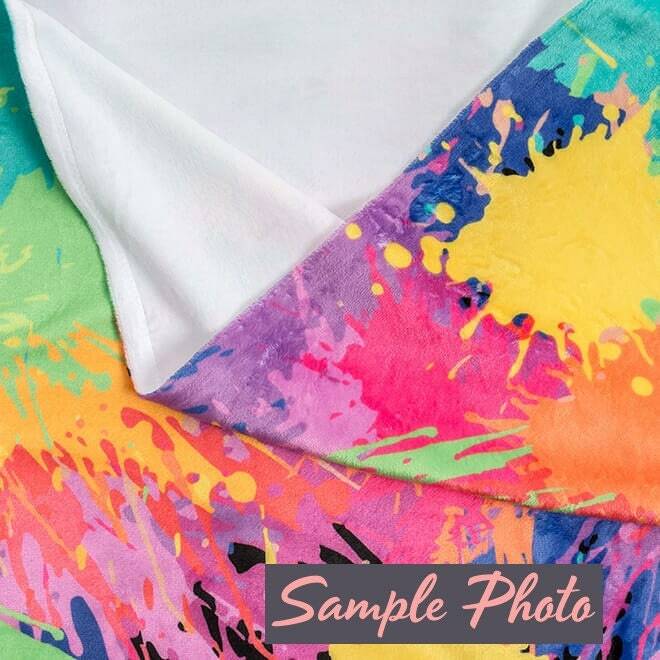 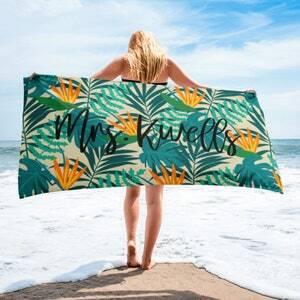 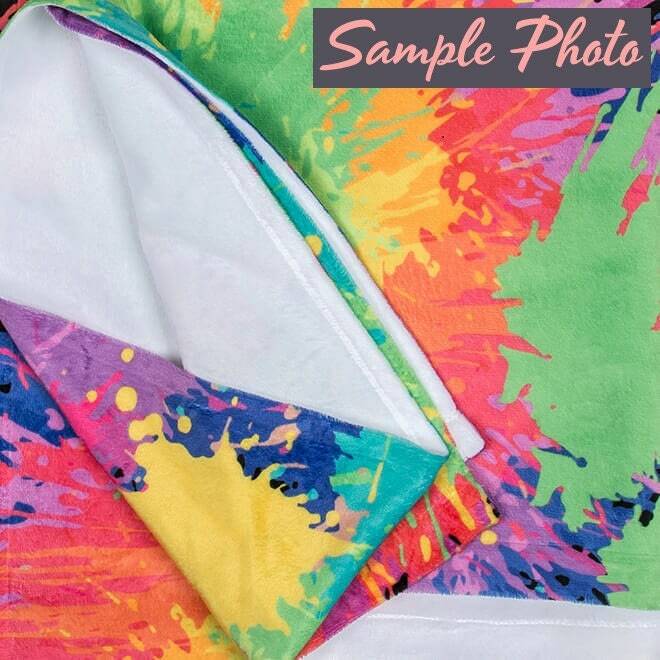 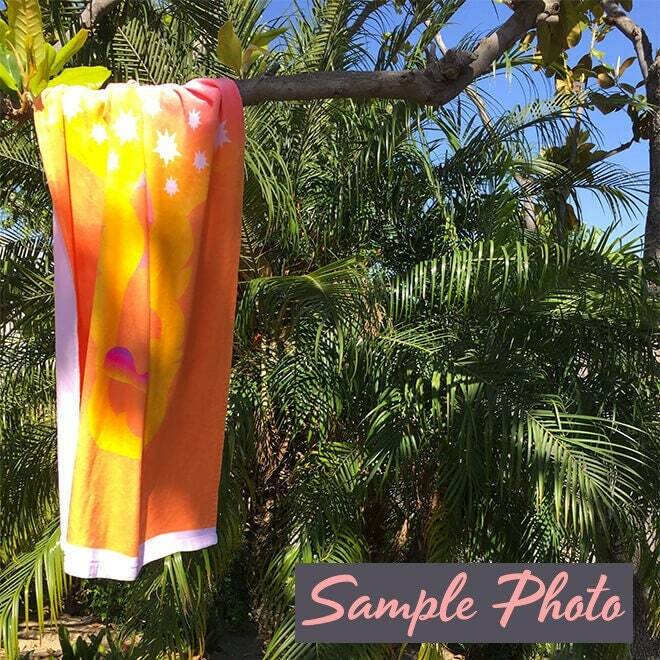 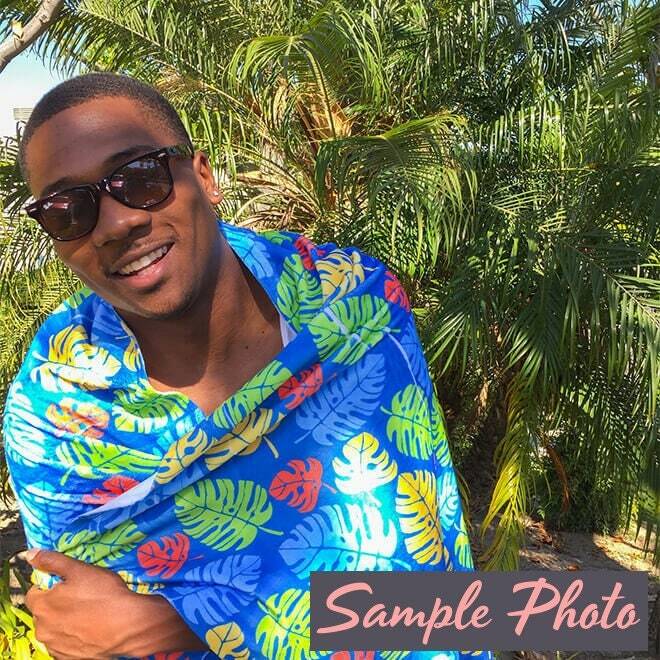 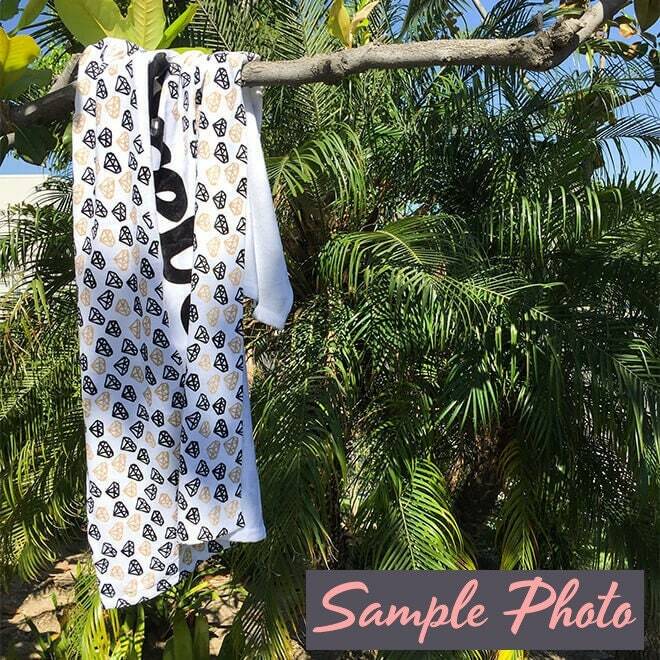 Announce the great news to family and friends in style with our beautiful beach towels. 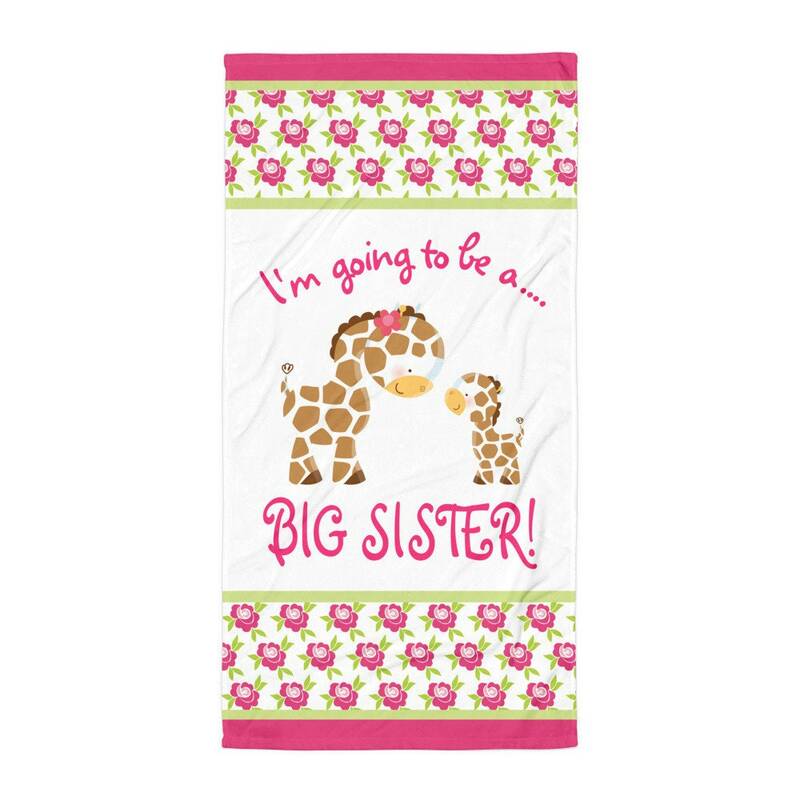 Design features cute big and small giraffes and big sister quote with floral trim. 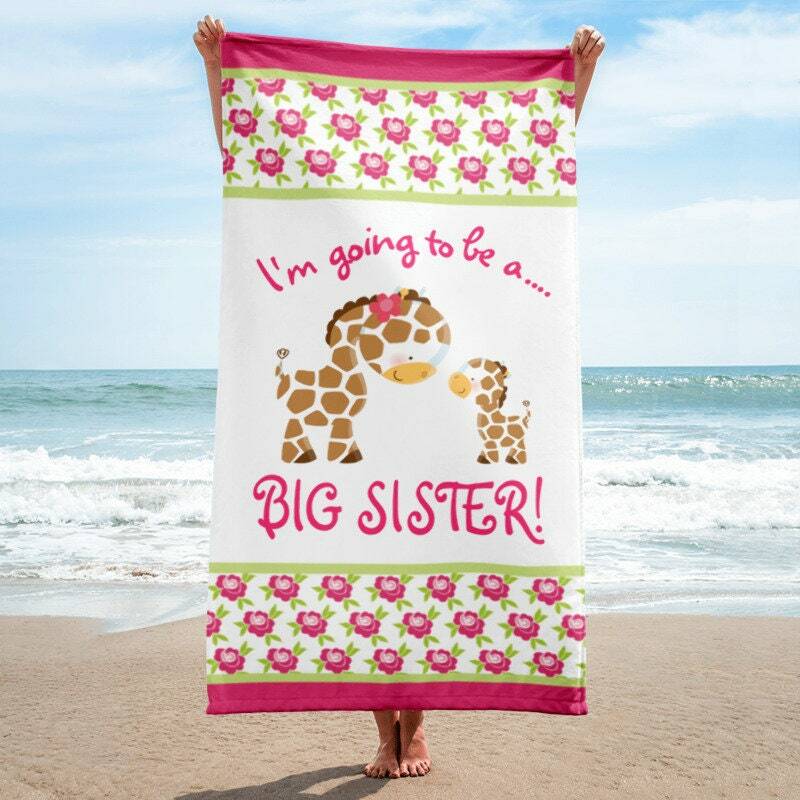 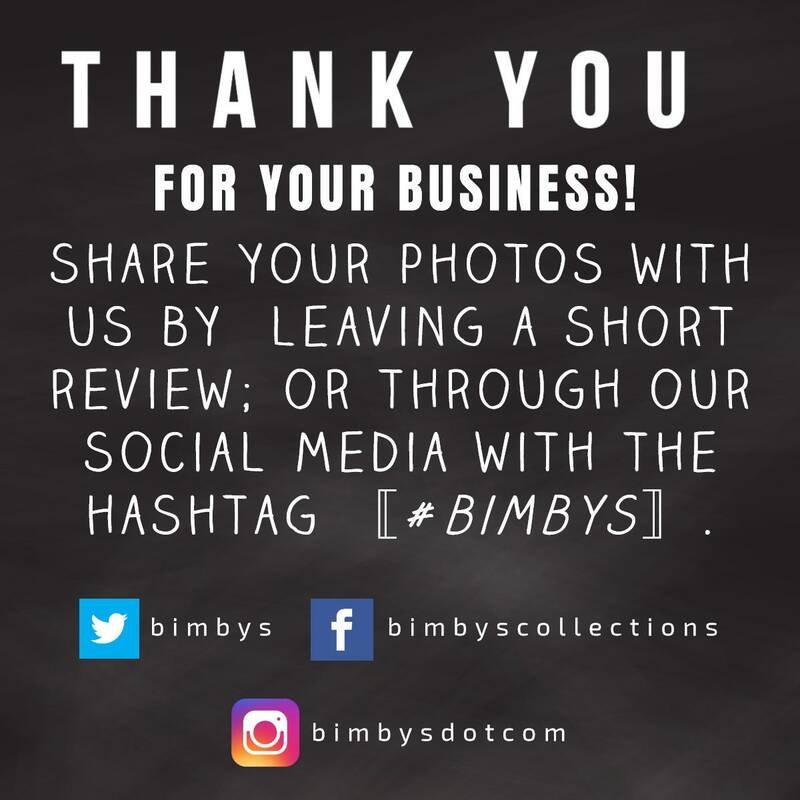 So many compliments on my announcement!! 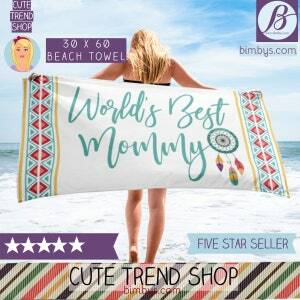 Love the towel!